Written by andy bartotto on Monday, August 15th, 2016 at 9:29am. 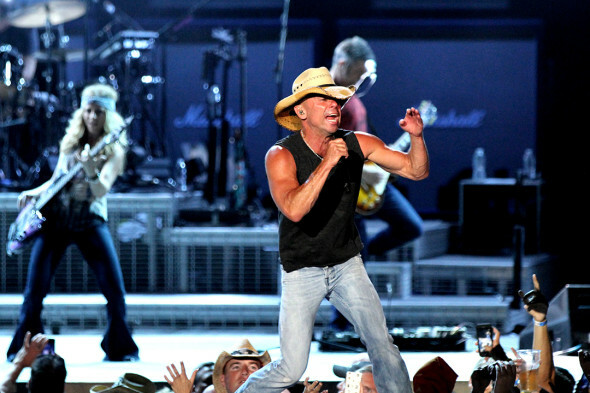 “The People’s Superstar” Kenny Chesney returned to San Diego County for the first time in eight years last week. His “Spread the Love” tour stopped in Chula Vista for a performance in front a nearly sold-out Sleep Train Amphitheatre. Interesting fact: Each time he’s played the Amphitheatre in Chula Vista, it’s had different venue sponsor (Coors in 2005, Cricket Wireless in 2008). Perhaps his next visit will be in 2018 when the current sponsorship expires. With Chesney’s next album, Cosmic Hallelujah, due out this October, perhaps we will see him again next year while Sleep Train still has its name on the door.